The Southwest Tennessee Development District serves an eight county region that includes Chester, Decatur, Madison, McNairy, Hardeman, Hardin, Haywood, and Henderson Counties. SWTDD is making a lasting difference in West Tennessee by promoting rural/urban renewal and revitalization in our communities through the betterment of its economic base, physical infrastructure, and improved quality of life for citizens. These goals are achieved through our Aging & Disability staff, our Economic & Community Development staff, and our REDI (Regional Economic Development Initiative)/Education team. The staff of the “Southwest Area Agency on Aging & Disability” (SWAAAD) works tirelessly to help the elderly and disabled in our region – who can become some of society’s most vulnerable citizens. SWAAAD staff screen and evaluate clients to determine needs, suggest services and do follow-up assessments. A primary goal of the “aging” staff is to provide a way for elderly and disabled consumers to be able to stay home as long as is safely possible. With that goal in mind, they are able to assist through needs assessments, referring consumers to other service agencies, working with local support groups and providing education/outreach when needed. Staff members provide one-on-one counseling for both consumers and caregivers on all available long-term care services and supports. In addition, SWAAAD is the public conservator for the public guardianship for the elderly and protects patient rights and quality care through our long term care ombudsman. Our Economic & Community Development team seeks to build a better region through strengthening the economic base, the physical infrastructure and the educational attainment levels in the area. SWTDD’s ECD team has experts in multiple disciplines who work primarily with county/city governments to help connect them with state/federal services and opportunities. This can include the writing of grants to help pay for such things as a new ambulance, tornado sirens, improved parks, disaster assistance, or improved sewer and water systems. SWTDD has both a grant writer and a grant administrator on staff to help our member governments improve the safety and the quality of life in their communities. (Grants are written for free by SWTDD for our city/county governments). In addition, SWTDD also has staff experts in strategic planning [SOAR], regional planning, solid waste, environmentals, historic preservation, housing, small business loans, and rural roads/transportation-related issues. Tightly tied to Economic & Community Development is the SWTDD’s REDI (Regional Economic Development Initiative), which seeks to impact the region through Entrepreneurship, Education/Workforce Development, Technology and Capacity Building. One of the most active components of REDI is its college access program. Hundreds of hours are spent each school year working with high school juniors and seniors to prepare them for post-secondary education opportunities. The REDI program works closely with the State of Tennessee and the Tennessee Promise Program to connect students to the state’s promised financial resources for college. In addition, SWTDD has staff members working with the State of Tennessee on its Reconnect Initiative [www.swreconnect.org] and its Pathways Tennessee [www.findapathway.com] programs. Each program has a very specific target audience – but the ultimate goal is to raise the educational attainment level to 55% of the population by the year 2025, as stated by Governor Haslam’s Drive to 55 Alliance [http://driveto55.org]. SWTDD’s staff, leaders and board of directors believe that one of the biggest impacts we can make for regional economic development is to intentionally create an educated workforce in the region. 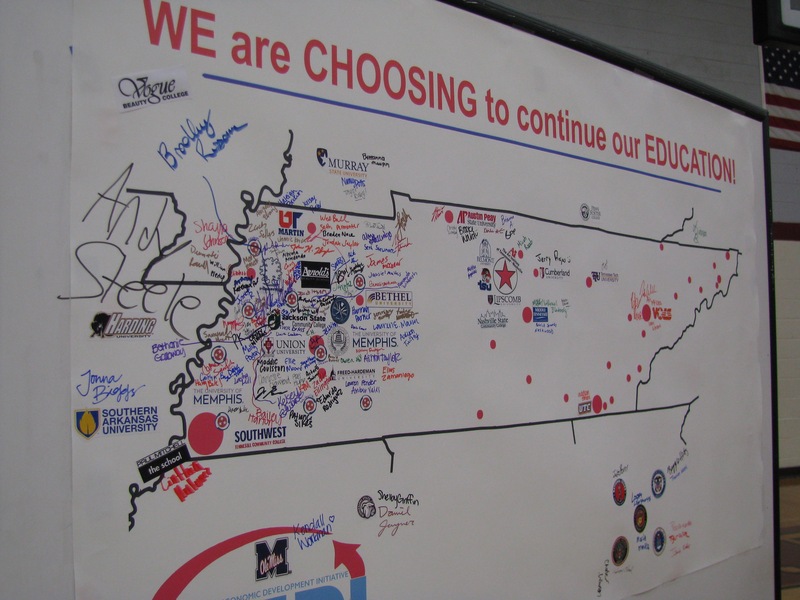 REDI, Southwest Tennessee Reconnect, and Pathways Tennessee seeks to increase the educational attainment level in the region. Four additional counties are served by REDI: Crockett, Fayette, Gibson, and Tipton counties. Southwest Tennessee Development District is an organization created by the Tennessee General Assembly under the Tennessee Development District Act of 1965. Like all districts, SWTDD provides comprehensive planning and promotes economic, community and human resource development in a defined geographic area. 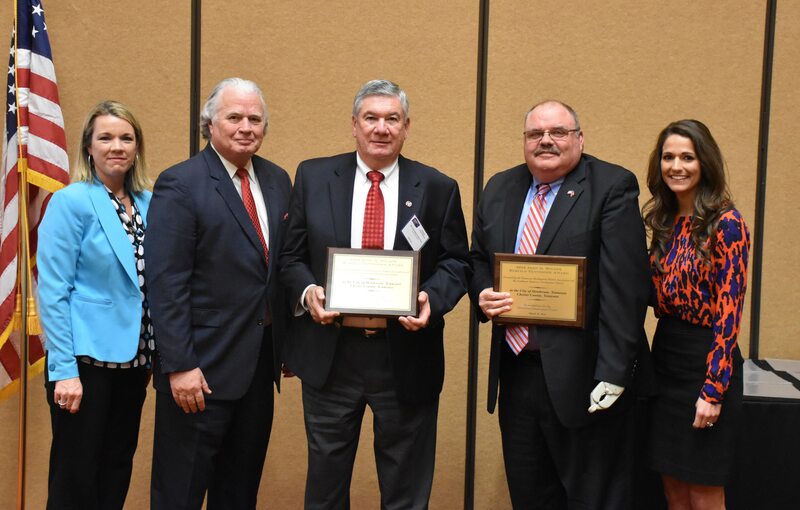 As a public non-profit association of local governments, SWTDD serves Chester, Decatur, Hardeman, Hardin, Haywood, Henderson, McNairy and Madison Counties. An Executive Director & Board of Directors (including member government officials, state representatives and minority representatives) manage SWTDD. Its 24-member Executive Committee meets six times per year to set policy and conduct business. Organized in 1971, SWTDD is staffed by 31 people with expertise in district management, economic development, community development, housing, environmental planning, regional planning, aging assistance, social work, nursing, grant writing, educational assistance, and public guardianship for the elderly. Financial support is provided from EDA; THDA; Tennessee Departments of ECD, Transportation and Environment & Conservation; TACIR; TN Commission on Aging & Disability; TennCare; Delta Regional Authority; USDA Rural Development and others. SWTDD’s REDI Program is funded by grants from local, state and federal agencies. Funds received from the Commission on Aging & Disability are distributed through contracts to senior centers and regional service provider agencies. SWTDD also receives fees for grant management services rendered for member governments and income from its small business loan program. SWTDD is designated as a regional clearinghouse for projects under Executive Order 12372 and acts as the Regional Affiliate Data Center for the Bureau of the Census.